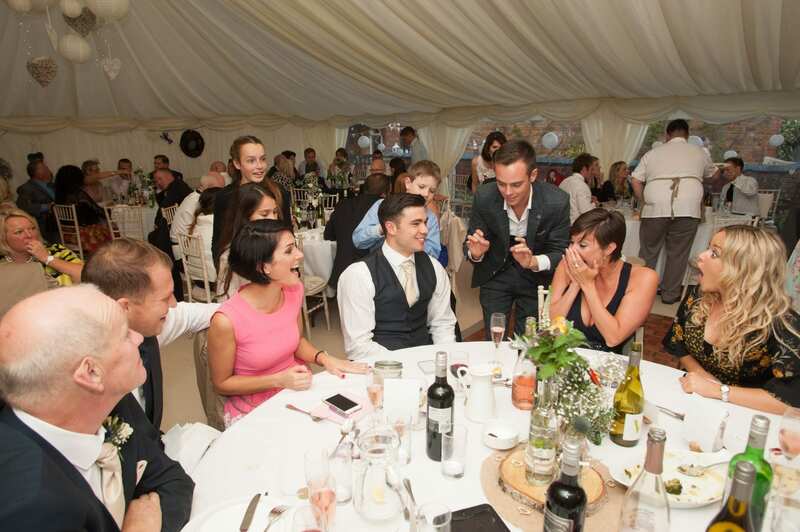 Jamie’s close up magic showreel, showcasing just some of the reactions created when guests are entertained by Jamie! 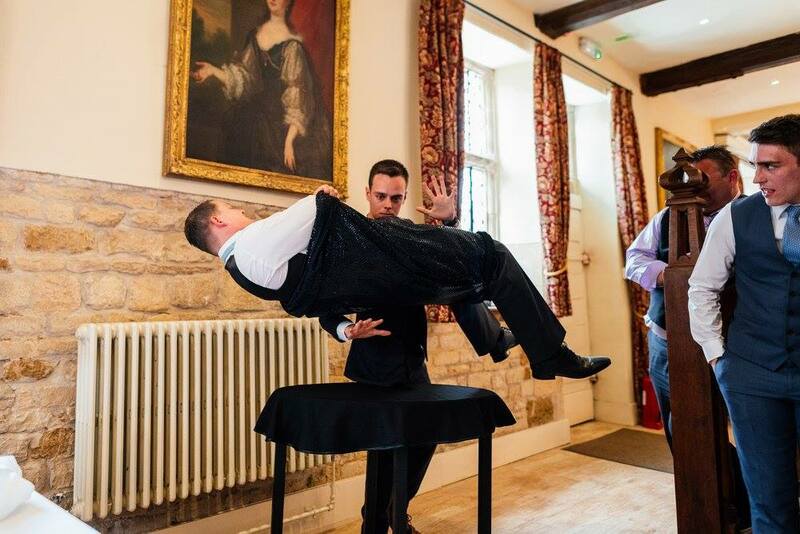 During Jamie’s stage and cabaret act’s, he makes a member of the audience float in mid-air! 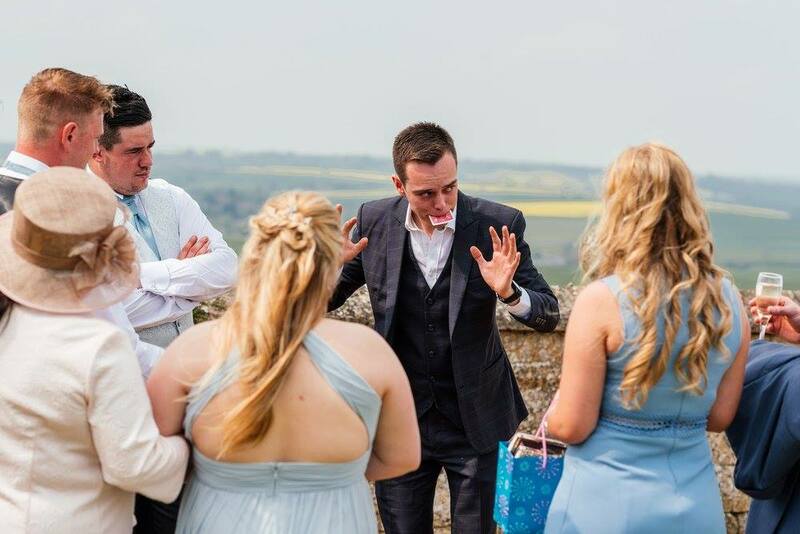 Jamie filmed a quick trick in St Malo, France whilst taking a quick break on land before heading back to perform on board a ship! 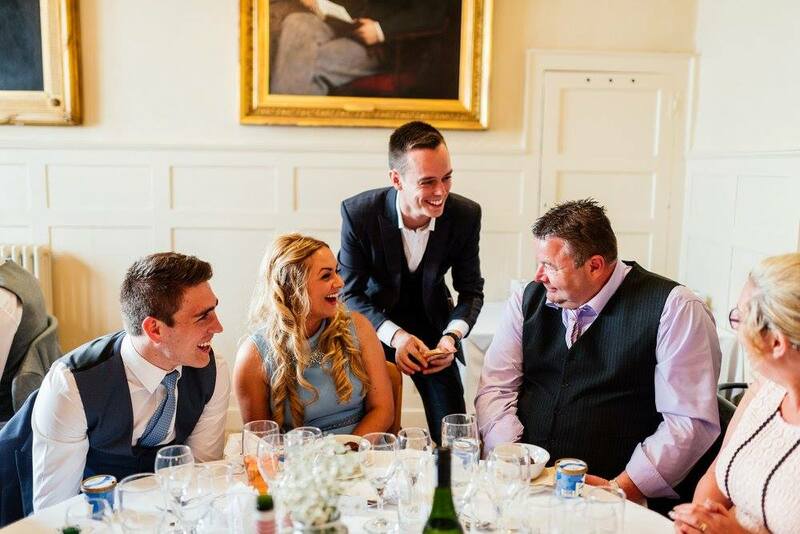 Jamie has the whole of the top table captivated as they witness his magic! 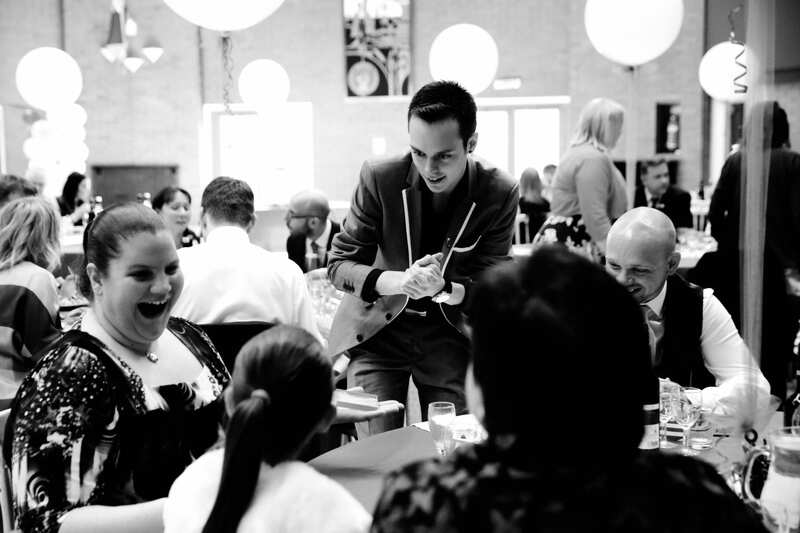 Guests can contain their emotions as they see the impossible become possible right in front of their eyes. 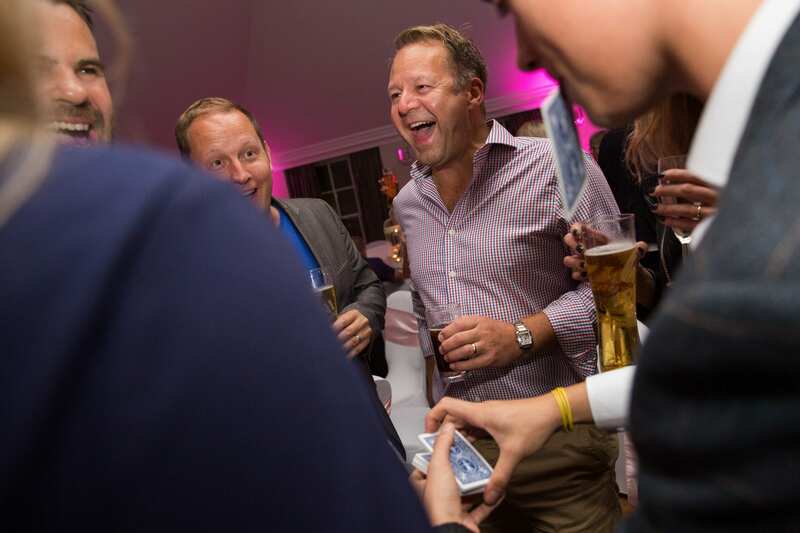 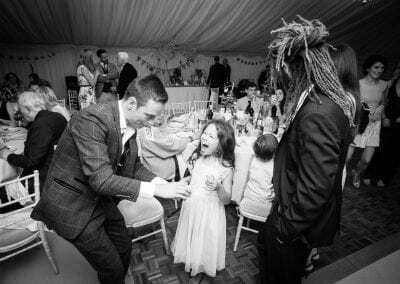 Jamie can mix and mingle with guests throughout the drinks reception, ensuring everyone is thoroughly entertained! 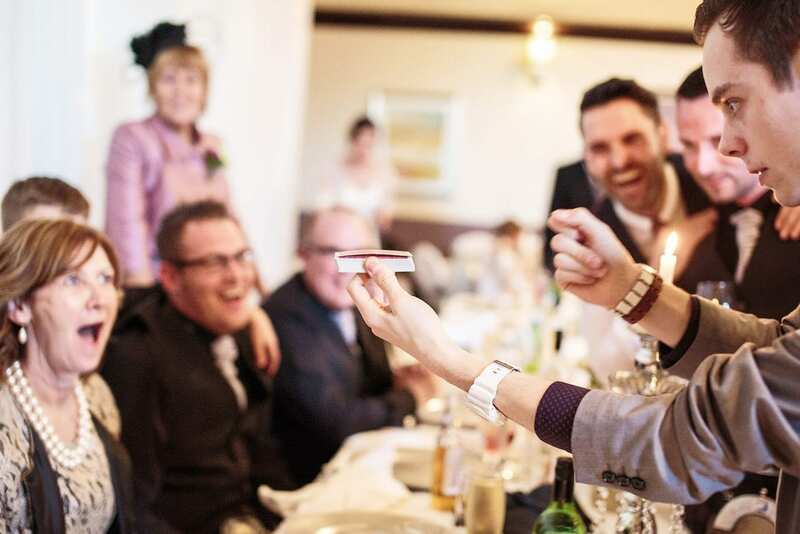 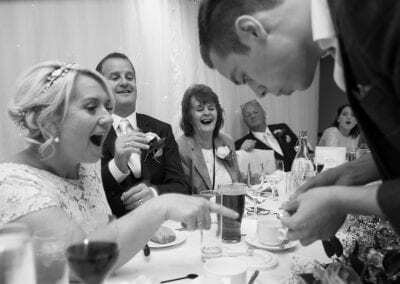 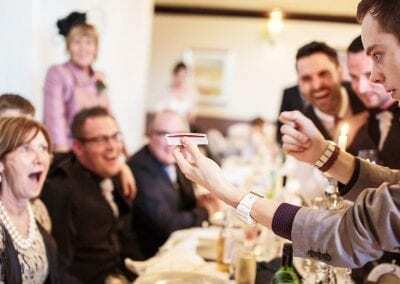 Magic entertainment during the wedding breakfast at a wedding in Oxfordshire. 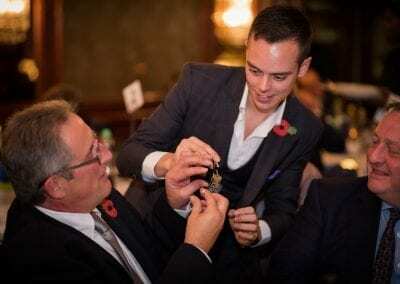 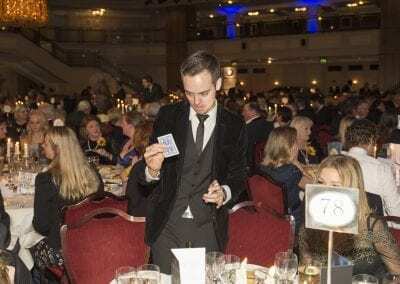 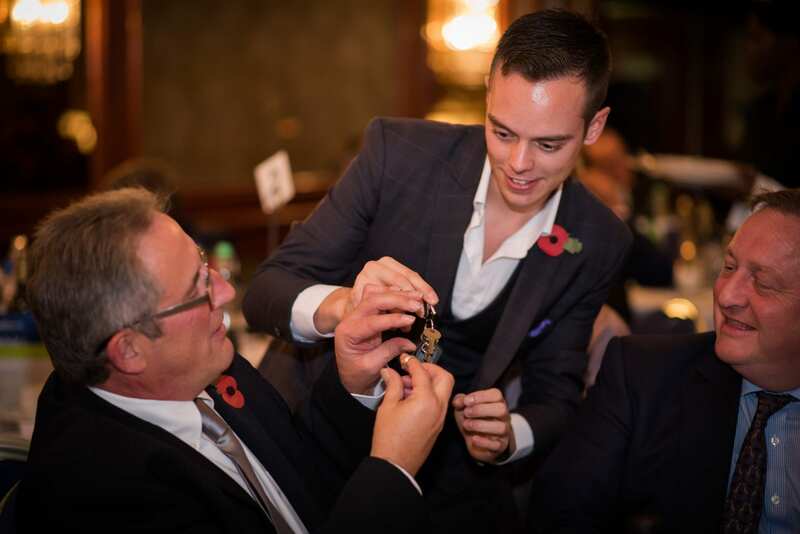 Wondering round the tables between courses during the event, performing magic. 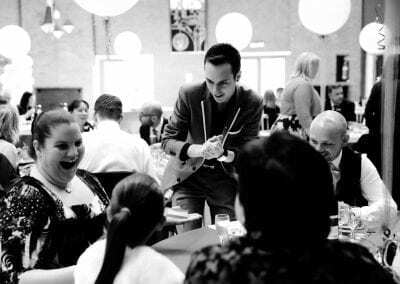 Jamie can perform magic for guests of all ages! 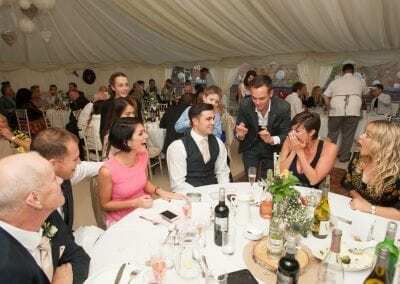 Jamie entertains and engages with guests between courses during the wedding breakfast. 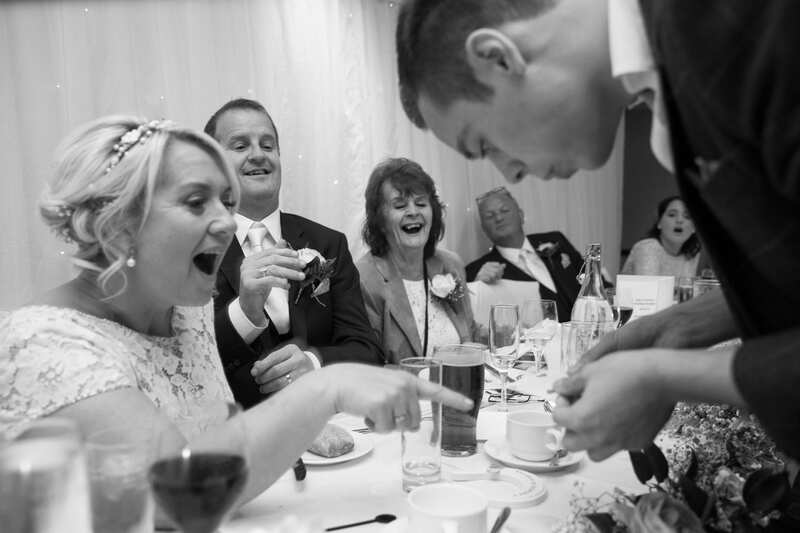 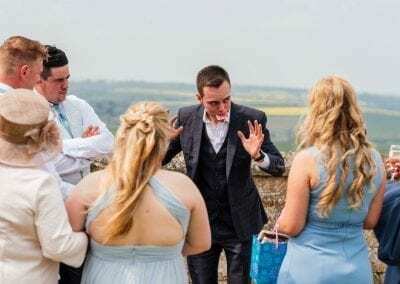 Jamie bends a wine glass in the hands of the bride! Providing entertainment at a corporate event during the drinks reception. 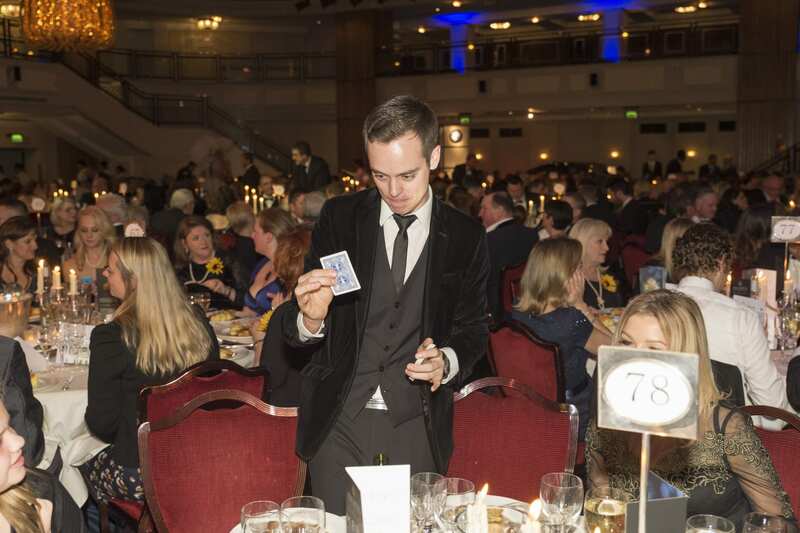 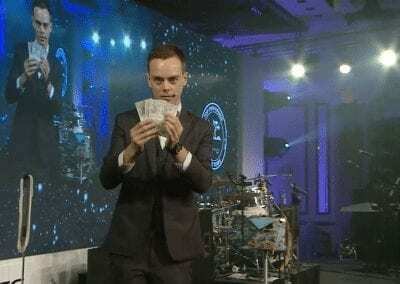 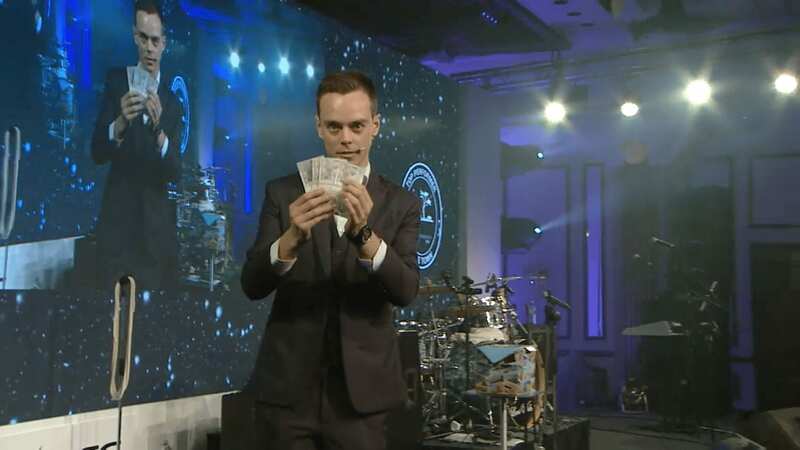 Jamie uses his magic to create tailor made miracles for his corporate client and 500 guests, live! 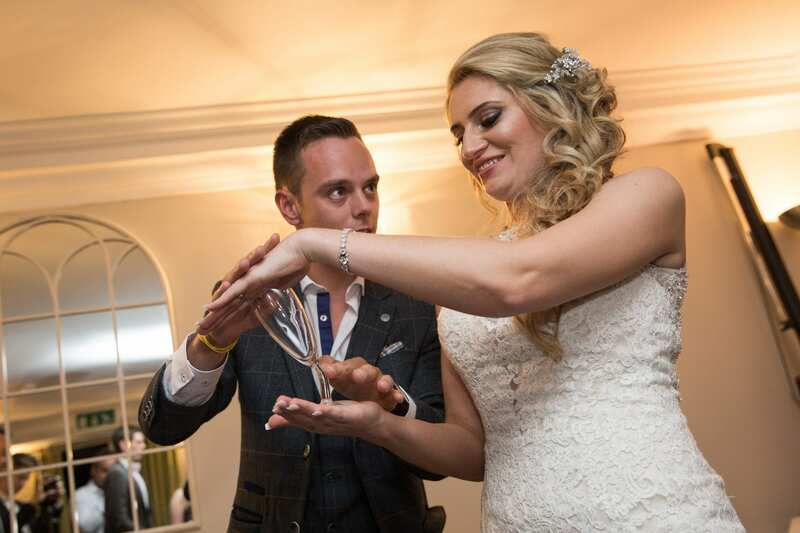 Jamie goes the extra mile to make every event extra magical! 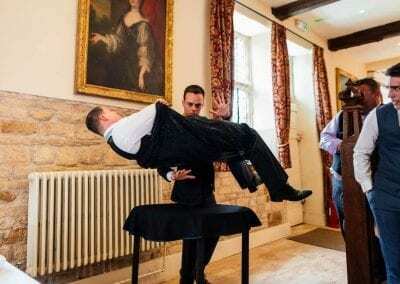 Jamie can perform big illusions right up close! 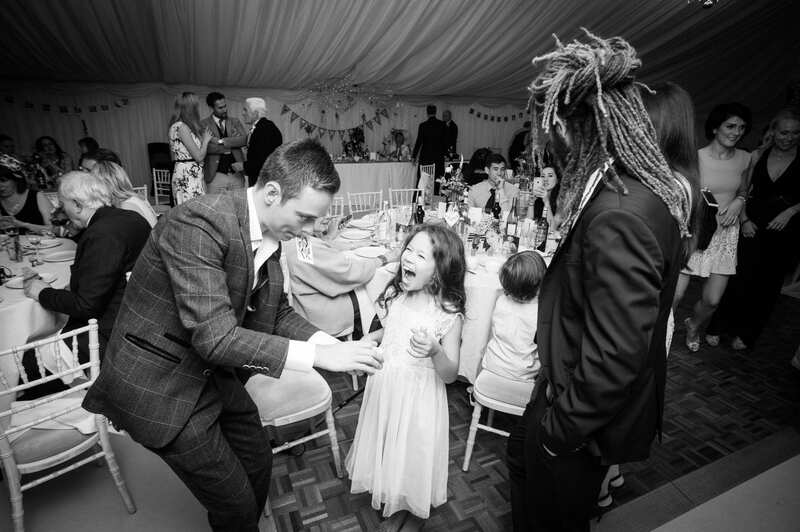 After every performance, Jamie leaves guests absolutely speechless!